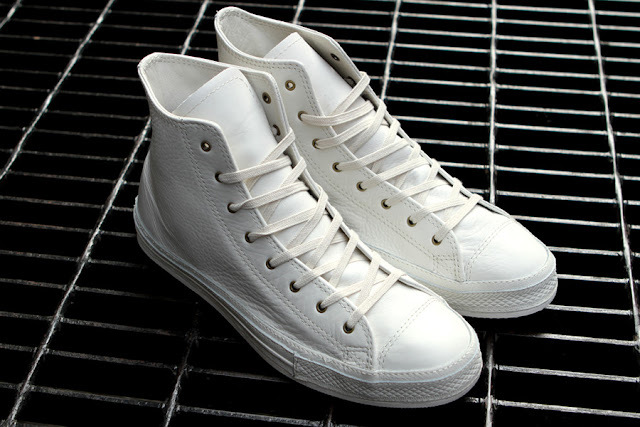 So you`ve probably, oh who am I kidding, you`ve definitely heard of Converse sneakers. I know I have. Though I have only two pairs in my collection, they are the most comfortable shoes I own. But now I`ve fallen for these white (and black) babies. They are made of leather and seem so soft and comfy. I would love to have the white ones for day-trips and the black ones for ekhm, night. 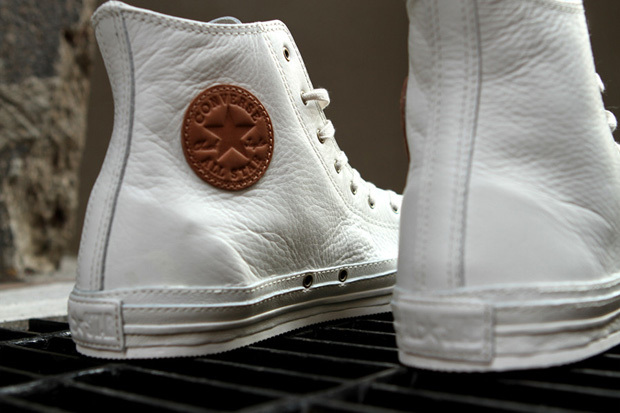 I love how the brown leather badge contrasts with the all-white shoe. These surely made my must-have list. What are your relationships with Chuck`s? Which color do you fancy the most? Tell me more, I`d love to know your opinion. And p.s. go here, they are selling them. i love the white converse in the photos! sooo cute! 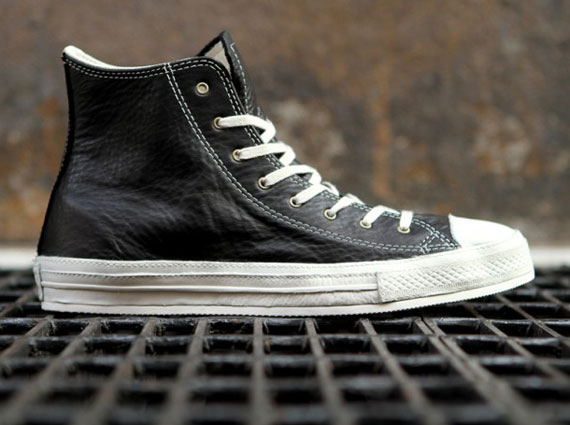 Love the black converse, I have one pair that I love. Wow, those look awesome! I have only ever owned the regular black with white trim ones in low and high top. Unfortunately both times I bought them just a wee bit too tight so they weren't comfortable for me and I ended up selling them/giving them away. But I really like the white pair you posted, they look soo awesome and would be great for summer! I so tempted! aw man! I just went to the link you posted and they're sold out :( next time then! I simply love your blog dear. Your posts, your style, your layout. Its all genius. I am so happy I stumbled upon you and the genius that is Stefany Strange. I am now following. I love these- I think I may need to invest! I love seeing the studded kind - a DIY in the making! 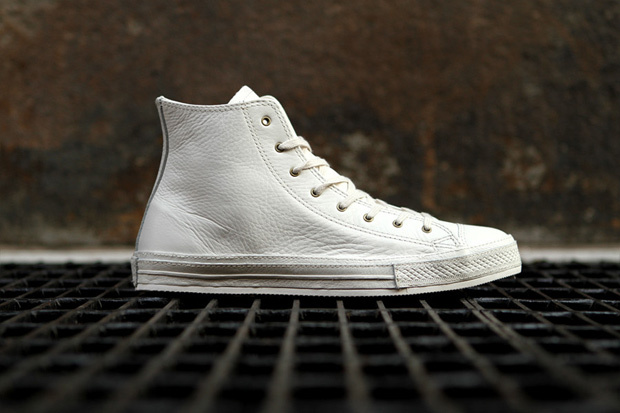 They look amazing, I love the white ones!